Liz, who has lived with disability since childhood, knows all about the limitations of the lecture circuit, because before she brought Assisted Suicide: The Musical to the stage, she spent years speaking out against euthanasia and assisted suicide (EAS) in lectures, articles and on news and chat shows. A well-known personality in Britain where she appears in the TV show Silent Witness, Liz has been one of the leading voices against EAS in the ongoing debate in the UK and is currently in Australia, where Assisted Suicide: The Musical will open in Melbourne this week as part of the Melbourne International Comedy Festival. While in Melbourne, she has done a range of media interviews and given a presentation to Victorian MPs. With legislation to enable assisted suicide set to be presented in Victoria later this year, Liz knows that her musical, which has previously played in London, Glasgow, Liverpool and Colchester, is nothing if not topical. In recent years, Liz undertook a Churchill Travelling Scholarship where she teamed up with the BBC World Service to visit all the countries where EAS is legal and produce a documentary. She says she comes at the debate not from religious grounds, but from the perspective of a person who lives with disability. “And lots of people will say, well this debate has got nothing to do with disability, it’s just about terminal illness,” she says. The other issue is the underlying belief of many, that people with disability would be better off dead. Most of the public debate about assisted suicide is about ending pain, but Liz says the reason that people usually give for wanting assisted suicide is actually about loss of autonomy or perceived dignity and the ability to do day to day activities. ‘So, in the traditional sense, I would be seen to not be autonomous, because I need assistance with certain daily tasks. But from my perspective, I do have choice and control over the people who do those tasks for me, my personal assistants, so I’m as autonomous as the next person,” she says. Liz says the idea for Assisted Suicide: The Musical came to her when she got fed up with the limitations of just delivering sound bites on the subject and of “always being seen as the bad guy” in the debate. And so, the show starts with an all-singing, all-dancing, razzamataz musical number dedicated to the pervasive notion of freedom of choice. “It starts out presenting the belief that choice is king, and then by the end, we deconstruct choice and we use all sorts of devices to do that. 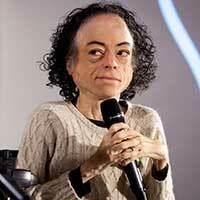 We call it a TED Talk with show tunes,” Liz laughs. “The show explores every perspective, and importantly, it doesn’t mock any of them, but by the end, it has absolutely changed many people’s perspective on this issue. “Some people have said they came in very much in favour of assisted suicide and by the end they’d done a complete 360 on it. Others have said they came in in favour but now they’re not so sure, and of course, others haven’t changed their mind at all. If Liz could leave Australians with one message about assisted suicide, it would be that the risk is just too great, and the government’s efforts should first be put into supporting people living with disability or terminal illness to live in a more supported way. “People living with disability or illness very often just don’t have the support that they need. And as a society, we should be asking, what is it we can do to make you feel valued so that you don’t feel that the only choice you have is to end your life? Liz says that risks associated with even subtle coercion or a feeling of being a burden to one’s family can easily mean that one person’s right to die becomes another person’s duty to die. “This is not an individual issue. It’s a social issue with social repercussions,” she says. “Some people think that the personal freedom to choose assisted suicide is an inalienable right that should be legislated for. 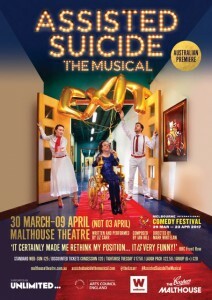 Assisted Suicide: The Musical plays at Melbourne’s Malthouse Theatre from March 30 – April 9.